Tennis: Also, the Zverev brothers, as well as Dominic Thiem and Jurgen Melzer, have also signed up to play but they haven't made the main draw cut. David Goffin hits rock bottom at Phoenix Challenger, losing to no. 168! Tennis: Goffin and Fritz complete star-studded Eisenhower Cup player field. Tennis: Goffin hires Johansson as the two are set for their second stint. What makes David Goffin an unpredictable tennis warrior? 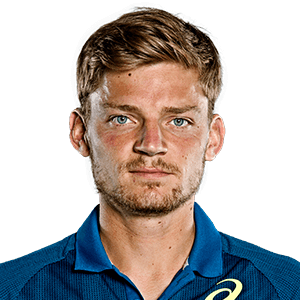 He may not be the most powerful or biggest in the bunch, but David Goffin is able to spread skills on the court totally unexpected to his opponents--and win.